(Informed Comment) – In response to the furor that arose this fall over the disciplining of Professor John Cheney-Lippold for declining to write a letter of recommendation for a student to do summer study at Tel Aviv University, the administration of the university has appointed a faculty commission (which is light on humanists) to consider the issues raised, and has circulated a questionnaire to solicit reactions of the faculty. Professor Alan Wald, H. Chandler Davis Collegiate Professor Emeritus in English and American Culture, kindly permitted Informed Comment to reprint here his response to the questionnaire, in which he questions the paternalistic assumption that the university is the custodian of faculty conscience in these matters. QUESTION: President Schlissel said the point of the panel is to gather input from the community to then analyze and provide recommendations to the provost –– do you think that is a good model? ALAN WALD: I’d say that the panel and its survey questions are not at all a good model. They evade the central problem that has now become crucial to both faculty and students, and is the cause for campus-wide concern: Is it permissible for faculty members to rely on their own ethical reasoning when making decisions that affect students, such as whether or not to write a letter of recommendation for a position with an organization or institution that engages in discrimination or other practices to which the faculty member is morally opposed? Does a student benefit from being informed, openly and honestly, about such judgments by the instructor, so that the student can move on to the next instructor on her/his/their list to get a letter of unqualified support? Or is it the case that the university, as our employer, can insist that reliance on conscience as well as academic judgment is a punishable offense—which has abruptly become U-M policy in practice, as we see in the treatment of John Cheney-Lippold and Lucy Peterson. Will the university protect the (legal) right of faculty to engage in a boycott? These are the real questions that faculty, students, and administrators should be asking ourselves and each other. But such a discussion is inhibited as a result of the climate of fear that the administration has initiated on the campus by taking punitive action against instructors with no semblance of due process; failing to stand up to the smearing of faculty engaged in defending Palestinian human rights as “anti-Semitic” by Regents and others; declaring that U-M itself (not just individual administrators) has an official position against the non-violent human rights movement of BDS (as opposed to one of neutrality); and creating a false narrative that instructors are attacking student rights when the instructors are trying to fight institutions they hold to be discriminatory and in violation of U-M’s anti-discriminatory policy. At present, the panel and its questions seem to be a diversion from the truly pressing concerns. What I want is know is how the panel can reach a different conclusion from the president and provost and LSA dean, given the punishment they have already meted out to our two colleagues. Are the panel members willing to say the administrators were wrong? Would the administrators reverse themselves should the committee find that they acted inappropriately? Without such possibilities even being on the table, the committee is unhelpful—or worse. QUESTION: Who gets to define academic freedom? Should concerns from the campus community at large even be taken into account, or is there a definition out there that our opinions have no bearing on? What U-M students absolutely have, and should defend, then, are their free speech rights, along with other rights and responsibilities as students. These are spelled for us: https://oscr.umich.edu/statement#2. Read the Statement. Nowhere does the phrase “academic freedom” appear; maybe it should appear, but it seems to be introduced now–in a loose, demagogic fashion–because it is being weaponized to attack BDS. Concretely, we have written statements from the administration stating that the inconveniencing of students by instructors who decline to write letters for ethical reasons are a violation of the “academic freedom” of students; and yet the same administrators also suggest that a faculty member who says that one is too busy to write the letter, or who insincerely writes a letter, is behaving acceptably. Anyone who believes that this approach is really in the interests of student rights is tragically wrong. Candidness and ethical behavior are what is best for academic freedom, defined legally or popularly. The bottom line is that to be inconvenienced is not a violation of academic freedom, even though none of us wants or likes to be inconvenienced—or to inconvenience someone else. Nevertheless, it happens to all of us. For example, if the staff in a U-M office were to go on strike for economic reasons, it would surely inconvenience faculty who require assistance for their grants, research, and teaching, but it would not be a violation of their “academic freedom.” Only a strike breaker would use that argument. QUESTION: The panel has been criticized for a lack of diversity (consisting entirely of full professors, and no humanities professors); do you think it could be a problem for fair consideration of community responses? ALAN WALD: Sure, more diversity, especially in rank, would be good. Lecturers, for instance, teach and write letters for large numbers of students; they ought to be represented. But there is another important matter, given that the main survey question is, “What ought to be the intersection of faculty members’ political thought/ideology and their responsibilities to students?” Shouldn’t we make certain that the panel includes a diversity of political and ideological positions? Still all this is irrelevant if we don’t address the primary question: How much authority is the panel being granted on behalf of the faculty as a whole? The message that frames the survey reads, “Our charge is not to formulate specific policy or processes, but to recommend appropriate considerations and principles. ” So, then, what’s the point if there is no hope of correcting mistaken actions? At present, this reads like a smoke screen to provide the veneer of open and inclusive decision-making when, in reality, the fix is already in. 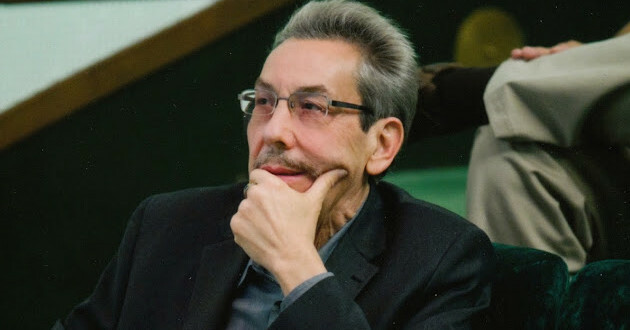 Alan M. Wald is a professor emeritus of English Literature and American Culture at the University of Michigan, Ann Arbor, and writer on 20th-Century American literature who focuses on the 20th-Century Literary Left.